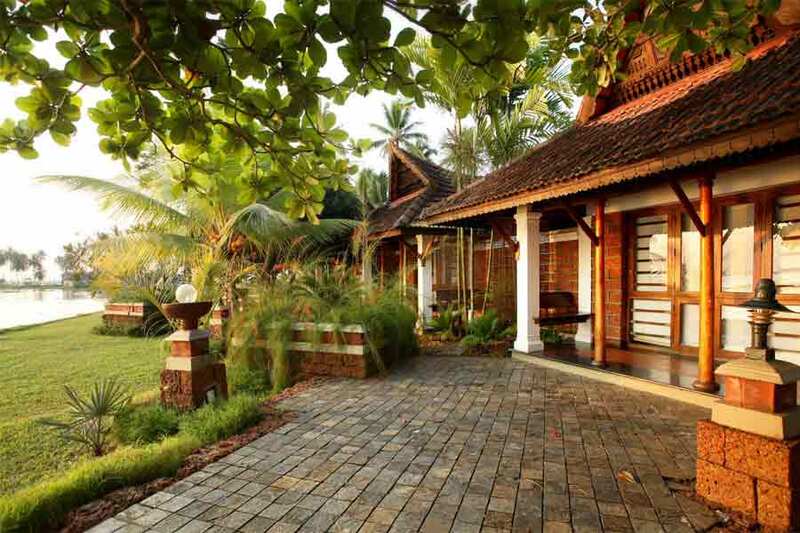 Use the form below to inquire about Beautiful Resort Stay at Alleppey Backwaters . 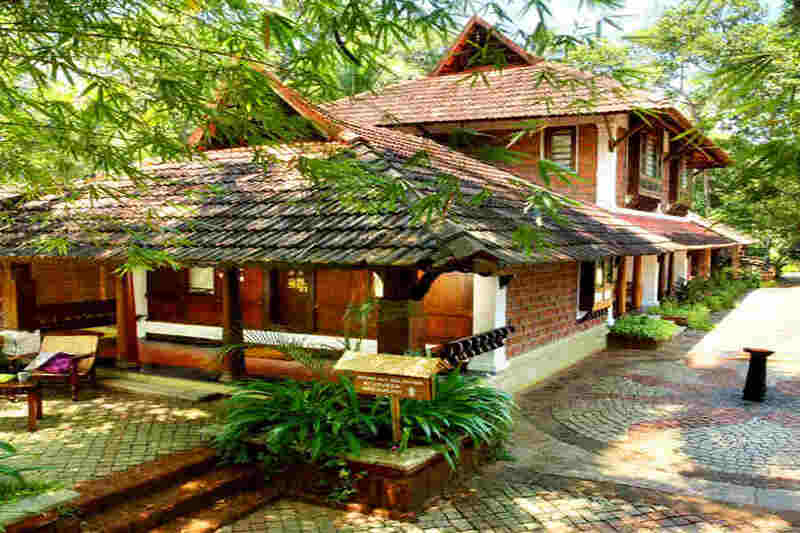 Use the form below to reserve for Beautiful Resort Stay at Alleppey Backwaters . 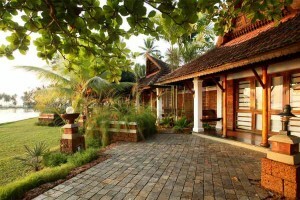 Garden Villas located in the garden are a combination of traditional and modern Kerala architecture. 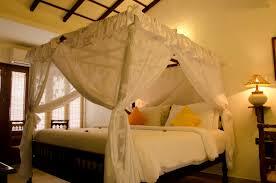 Has canopied beds, wooden beams on the ceilings and a sit out. Air Conditioned Room, Free Wi-fi Internet Access, Hot and Cold Running Water, Private Balcony/Verandah, TV with cable connection in each rooms. Heritage Villas have slanting roofs, wooden doors and windows and twin beds with a private sit out. Duplex Villas have a porch overlooking the pool. The living area and bathrooms are on the lower level and the bedroom with a four poster bed on the upper level. Air Conditioned Room, Electric Kettle, Hot and Cold Running Water, In-room Refrigerator, Tea/Coffee Maker, TV with cable connection in each rooms. Air Conditioned Room, Free Wi-fi Internet Access, Hot and Cold Running Water, Intercom, TV with cable connection in each rooms. 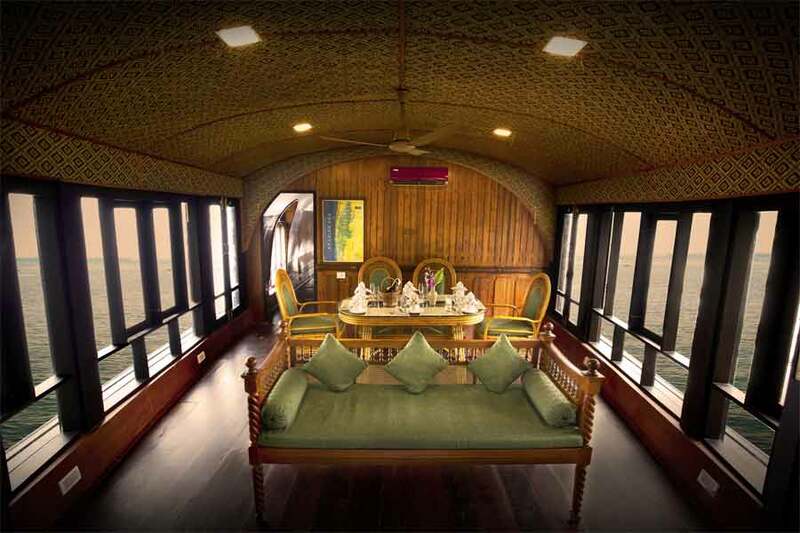 This Beautiful Resort Stay at Alleppey Backwaters is enhanced by authentic Kerala architecture and luxurious interiors. 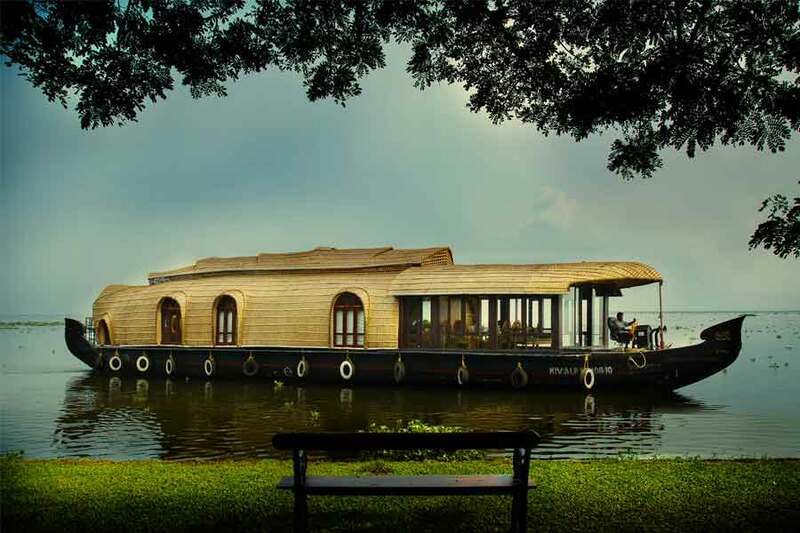 Amidst a verdant landscape bordered by the calm backwaters, this resort presents Kerala’s heritage wrapped in astonishing natural beauty and modern opulence. The backwaters at the edge of the resort make for a soothing sight to weary eyes from every angle in this beautiful resort stay at Alleppey. Watching houseboats and fishing boats cruise along these waters is therapy in itself. The professionally carpeted spread of vast lawn, coconut and mango groves, various other tropical trees, and bright flowering plants turn this slice of land into a lush cover of green making a great backdrop for the exquisite accommodations. The silence here is broken only by the gently lapping water and the cool breeze blowing against the trees. The tranquil ambiance at this beautiful resort stay at Alleppey is enhanced by the authentic Kerala architecture and luxurious interiors. 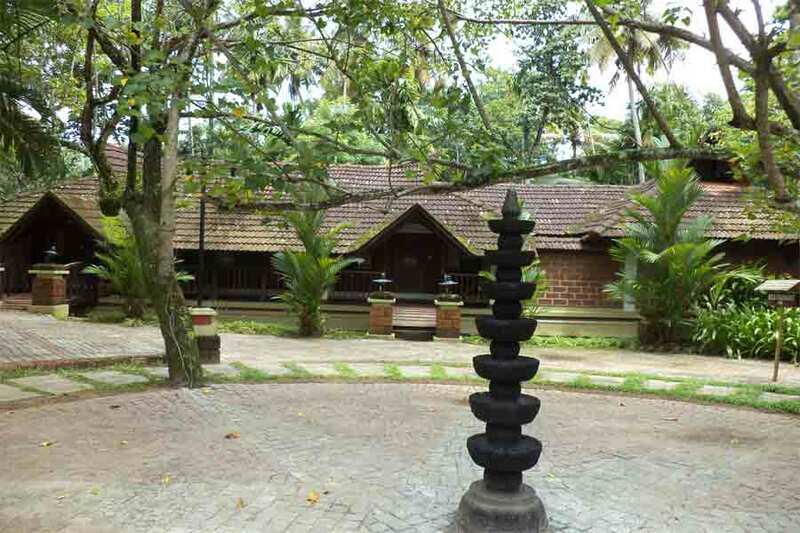 Elements like red stone walls, wooden trusses and wall paneling, tiered black stone oil lamps in the courtyard, exuberantly artistic brass locking systems on the crafted wooden doors, and the undulating roof with terracotta tiles are typical of Kerala’s rich architectural heritage. The rooms have classic muted tones to accentuate the wooden accessories and golden lightings. Every inch of the rooms has a splash of traditional elements like wooden beams, bed posts, heavy wooden doors and windows, linen, upholstery, and the like. Antique beauty and lavishness go hand-in-hand in every room here. The bathrooms are large and open-roofed with pebbled flooring and the greenery gives you the feeling of being outdoors while indoors. 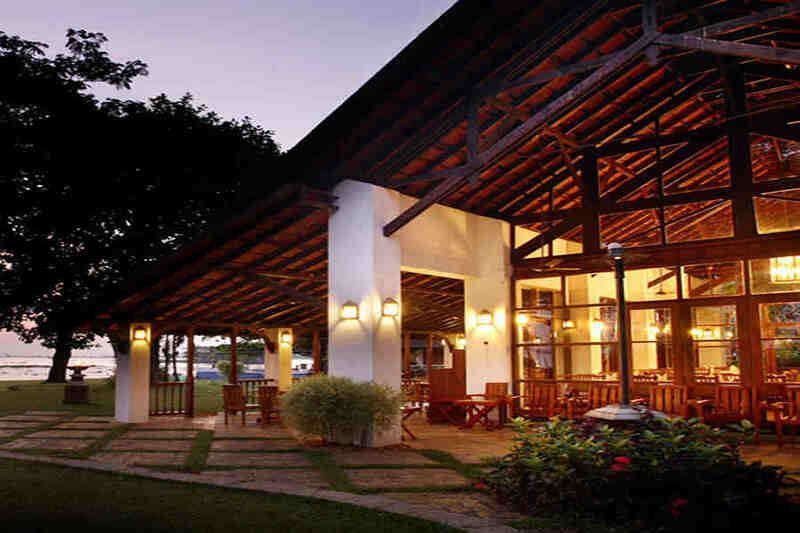 Lake villas here are the most coveted with large opulent rooms and wide windows facing the Vembanad Lake. Garden villas are crafted especially for nature lovers and are wrapped in thick greenery with a fascinating canal nearby. The luxurious duplex accommodations are perfect for families. This resort has thoughtfully created a special accommodation option for the physically-challenged also. 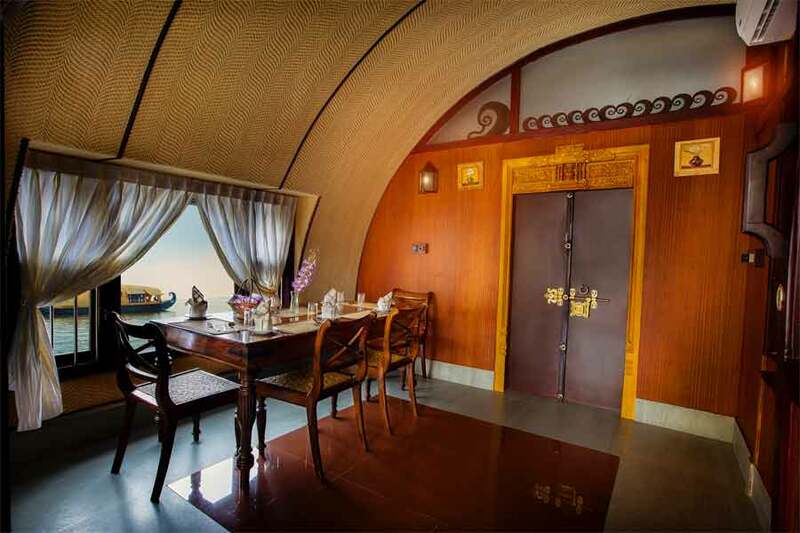 Alongside the lavish accommodations on land in this fairyland, guests can also choose to live on magnificent houseboats. The restaurant here serves up delicious platters of food from Kerala and across the world. The swimming pool at the resort is immaculately maintained and invites every soul for a dip. Ayurveda and wellness therapies at the resort are sought after and allow you to unwind and rejuvenate amidst pristine nature. The resort practices stringent eco-friendly methods which do not disturb or pollute nature, making it truly worthy of the awards of excellence bestowed by various agencies. Special welcome and welcome drink. Safe deposit locker, hair dryer, tea/coffee maker in the room. Usage of the games room (billiards, snooker, chess, caroms etc). Usage of outdoor games (badminton, tennis court, volleyball etc). Children up to 5 years stay complimentary. A separate bed will be charged extra. CP – Room + Breakfast. MAP – Room + Breakfast, lunch or dinner. AP – Room + Breakfast, lunch, and dinner. Children between 6-12 years will be charged extra as per package. Foreign tourists will also need to have proof of identity as per regulations. All foreign nationals must carry their passports with valid visas and other relevant documents. 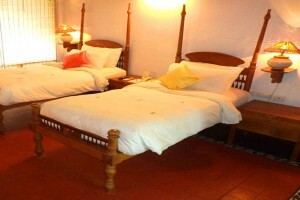 The rates mentioned are on double occupancy basis. Peak season supplement (20th December to 10th January) will apply. Christmas and New Year (24th December & 31st December) charges will be extra. Summer special rates applicable from 01st April – 30th September. Winter special rates applicable from 1st October to 31st March. Check-in time is 1.00 pm and check-out time is 11.00 am. Please guarantee your reservation against cash deposit, service voucher or demand draft at the time of booking. Please intimate us the exact address to which the bills are to be sent or else bills will send to the address on the voucher. In the unlikely event of our inability to accommodate you despite a guaranteed reservation, we will arrange an alternate accommodation with transportation at our cost. More than 30 days prior to stay – full refund. In this dreamy nook, you can simply relax in the sprawling garden in a recliner with a book for company or daydream. Stroll along the Vembanad backwaters where floating boats and flocks of birds will treat you to a visual extravaganza. Bicycles are available on hire to explore this stunning resort. Your houseboat accommodations can be booked through the resort. 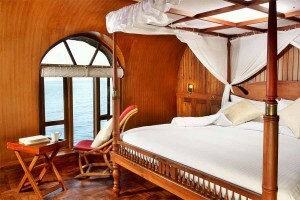 You opt for a day cruise or stay in the houseboat for a few days. 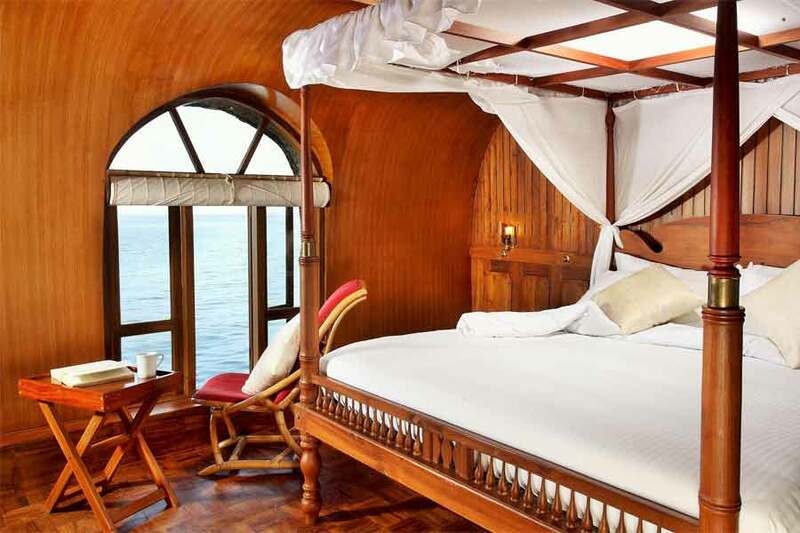 As you cruise the gentle waters, the luxury of the wooden panelled interiors, the spectacular beauty of the scenery, the lip-smacking taste of the food served, the cool breeze, and the warm hospitality will transport you to another realm. Indulge in the Ayurvedic massages or Yoga to recharge your body and soul. Other activities that you can enjoy are a game of basketball, row boat sessions, speed boat rides, ball badminton, mini golf, frisbee, tennis court, volleyball, table tennis, and indoor games. 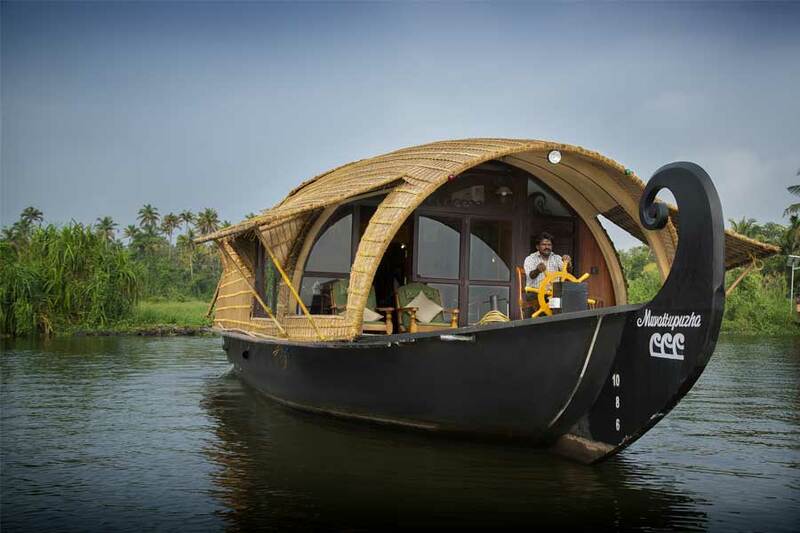 Sightseeing to popular destinations near Alleppey are arranged on request. Alleppey Beach and Marari Beach are a must visit. Explore many palaces , churches, and temples . Krishnapuram Palace, Ambalappuzha Temple, and many old and renowned churches are best visited during the festival seasons. The enthusiastic and vibrant snake boat races during August are thrilling and a rare experience unique to Alleppey. Kochi is the nearest airport which is around 55 km away (appx 1.30 hrs). From Kochi, travel on NH66 till Kommadi. At Kommadi, take a diversion to east on to Kommadi Palam road. This is SH 40 and it heads straight towards Vembanad Lake. Coimbatore is around 235 km (appx 5.5 hrs) from Alleppey while Mysore is around 450 km (appx 9 hrs) away.